On the 6th (Sat), take in nature's colorful creations at Roma Street Parkland and then let little ones run wild at South Bank Parklands. 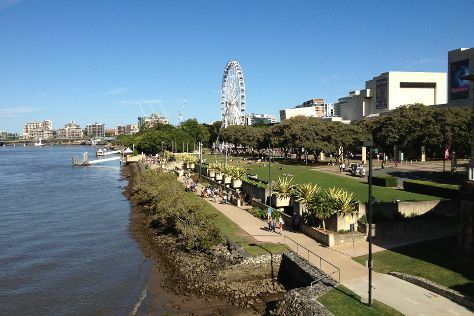 To find more things to do, reviews, and other tourist information, go to the Brisbane trip app . If you are flying in from Malaysia, the closest major airports are Brisbane International Airport and Gold Coast Airport. In April, daytime highs in Brisbane are 30°C, while nighttime lows are 19°C. Finish up your sightseeing early on the 6th (Sat) so you can travel back home.